In some circles Milwaukee, Wisconsin may be best known for its brewing traditions, however it is also internationally recognized as the home of a major cultural venue — the Milwaukee Art Museum. This iconic museum has amassed a treasure trove of some 30,000 works of art and it attracts more than 400,000 visitors each year. 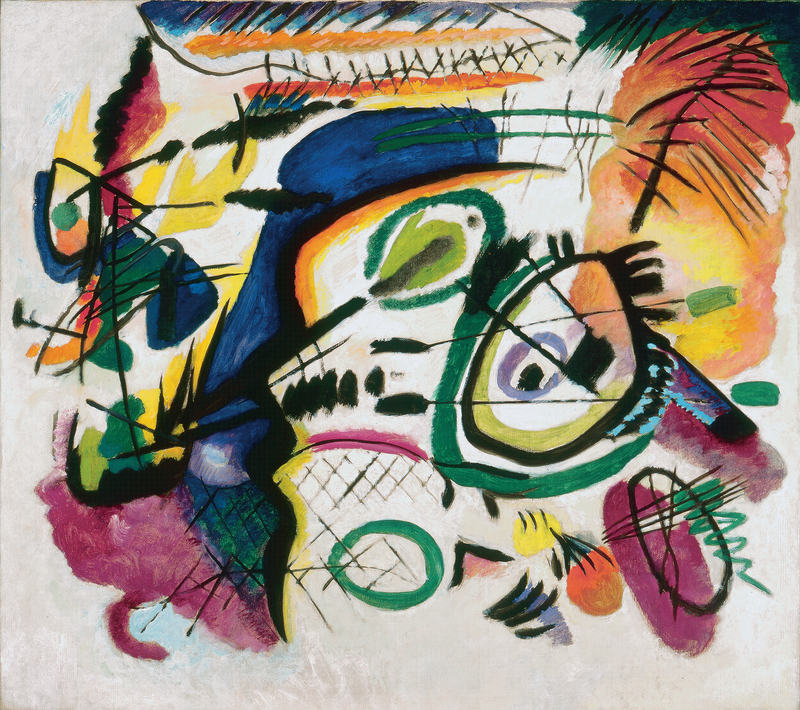 Currently, through September 1, 2014, the Milwaukee Art Museum is presenting “Kandinsky: A Retrospective”. This stellar exhibition follows all of Kandinsky’s creative periods. More than eighty works and documents comprise this exhibition — many of which originate from the world famous Kandinsky collection of the Centre Pompidou. In this monumental exhibition, Kandinsky’s art is prominently featured side by side with his contemporaries in the Blaue Reiter movement. This group was founded by Kandinsky and other Russian emigrants including Alexej von Jawlensky, Marianne von Werefkin, and native German artists, such as Franz Marc, August Macke and Gabriele Münter. Wassily Kandinsky (Wassily Wassilyevich Kandinsky, 1866 – 1944), was a renowned painter, printmaker, watercolorist, theoretician, and Bauhaus teacher. He was born in Moscow, Russia, and created art during a time of experimentation and innovation amidst a tumultuous society on the threshold of the modern world. Kandinsky’s huge accomplishments span almost all the major artistic movements of the first half of the twentieth century. He embraced all artistic styles — from the sinuous, organic forms of Art Nouveau to the wild colors of Fauvism and Blaue Reiter, to the mysteries of Surrealism, and the constructivism of the Bauhaus period, and more — until he developed his own signature style. A modern master, Kandinsky is credited with painting the first purely abstract works. He is most known for his spiritual abstraction and led other abstract painters who believed that art should provide a religious message. As opposed to traditional realism that focused on physical matter and materialism produced by their predecessors, abstract artists focused foremost on the spirit. As a youth Kandinsky was always fascinated by color however, he succumbed to his parents’ wishes to pursue studies in law and economics. When he was 30 years old he was appointed Professor to the Department of Law, at Derpt University in Tartu. 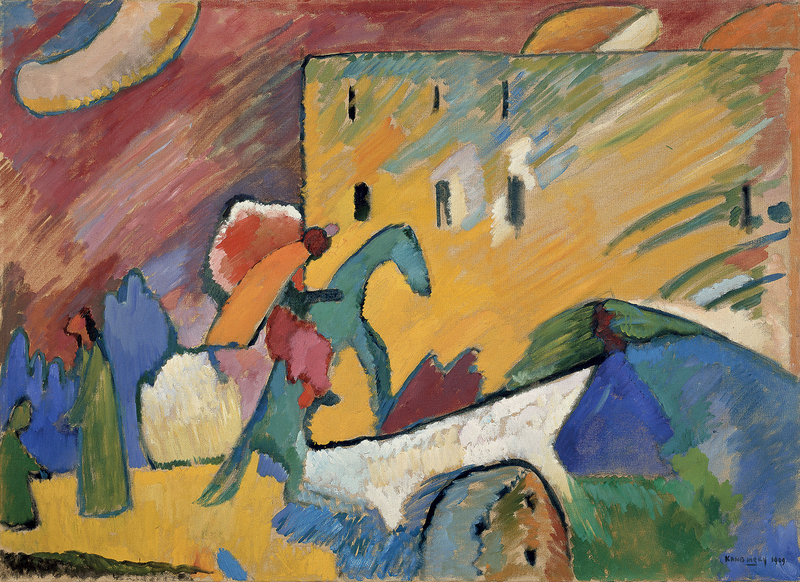 To the shock and dismay of many individuals at the time Kandinsky decided to give up this promising career teaching in order to follow his passion for painting. He enrolled in art school in Munich and changed the course of his life and art world history. It is a widely known fact that Kandinsky’s decision to pursue art was influenced by an exhibition he saw of the French impressionists. In particular, it was the powerful color in Monet’s “Haystacks”, that inspired him the most. “Kandinsky: A Retrospective”has been co-curated by Angela Lampe, the Curator of Modern Art at the Centre Pompidou, and Brady Roberts, Chief Curator at the Milwaukee Art Museum. 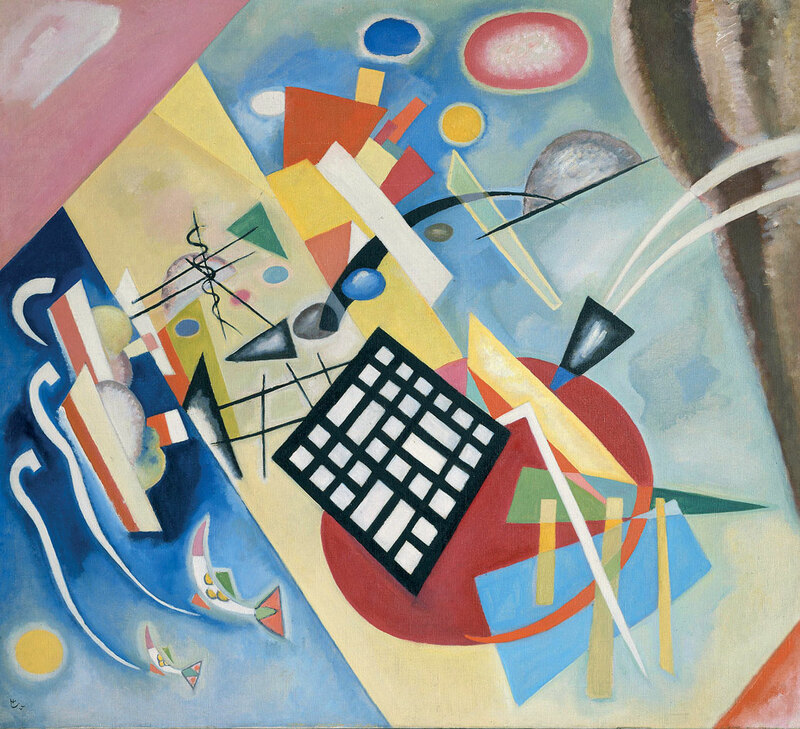 To read the Luxe Beat Magazine version of this article click on the title Wassily Kandinsky Retrospective at The Milwaukee Art Museum.